a domestic disturbance: It's All Happening! My mother asked me what I wanted for my upcoming birthday, and so I realized that I needed to make some wedding decisions. 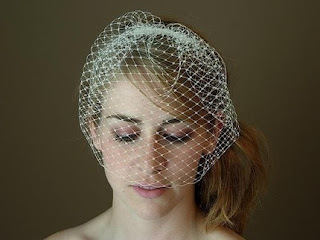 Specifically, I needed to decide on some bridal accessories so that I could remove them from my wedding budget(s). And so, with the help of Accordions and Lace, I found this lovely flower at VieModerne. The chiffon matches my dress and the pearl will match my jewelry. Yay for birthday! That's enough pesos saved to cover the cake! Yay! 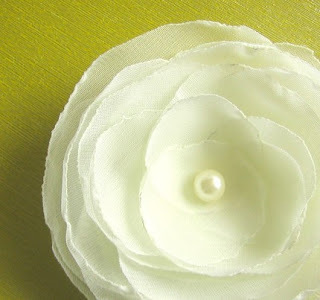 I love Noelle's flowers--so simple and pretty. pretty! will wear the flower and veil together? is it possible?